You are here: Home / About Hero Dogs, Inc. 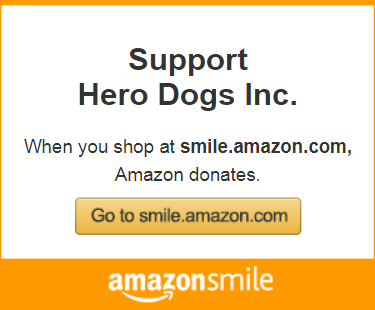 Hero Dogs provides service dogs to veterans of the U.S. military and first responders with disabilities. Disabilities do not need to be service connected. To learn more about specific eligibility requirements or to apply for a dog, click here. There is no cost to the recipient for the service dogs we raise, train, and place, or for the training we provide.